Barack and Michelle Obama were seen dancing at a Beyoncé and Jay-Z concert near Washington, D.C., on Saturday night. Beyoncé and Jay-Z‘s On the Run II tour has been running wild all over the world, but on Saturday night, well, it got pretty presidential. No, we’re definitely not talking about Donald Trump. 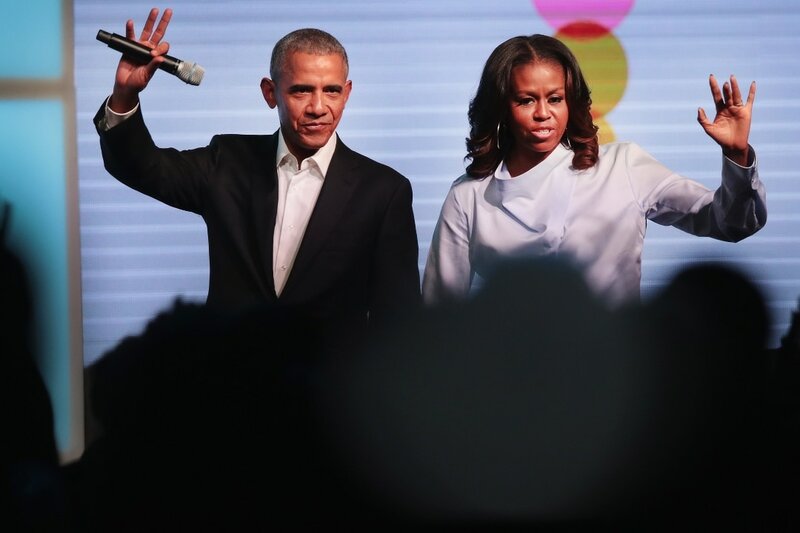 Barack and Michelle Obama attended the concert at FedEx Field in Landover, Md., on Saturday night, and it was clear they were having a great time. A number of fans filled up social media with video of the former POTUS and FLOTUS dancing in their luxury box seats at the home of Washington’s NFL franchise. Bey and Jay are well-known supporters and personal friends of the Obamas and openly campaigned and donated to Barack’s two successful presidential campaigns. They were also invited guests during Obama’s second inauguration in 2013. This was the second time that Michelle Obama showed up at the tour. She also attended the tour’s stop in Paris with her daughter Sasha.